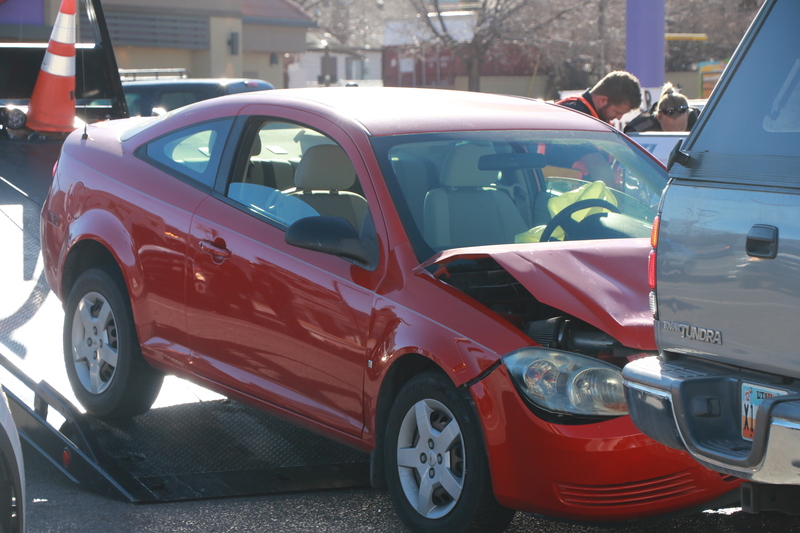 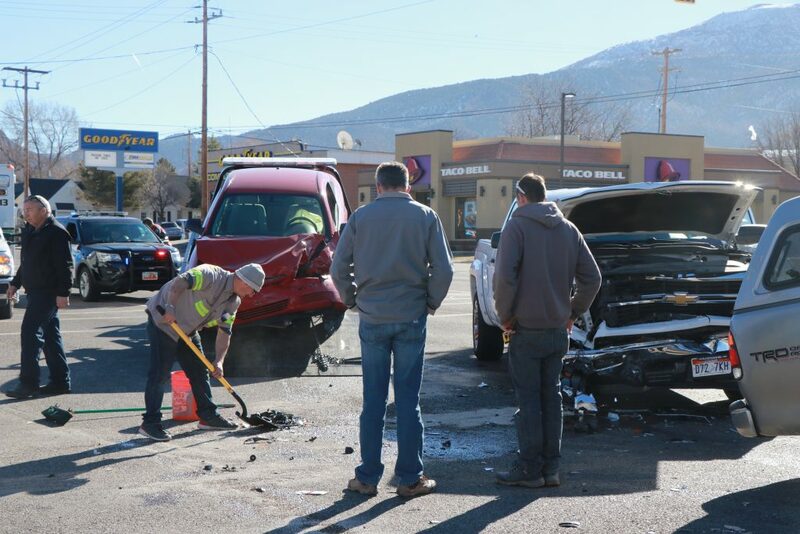 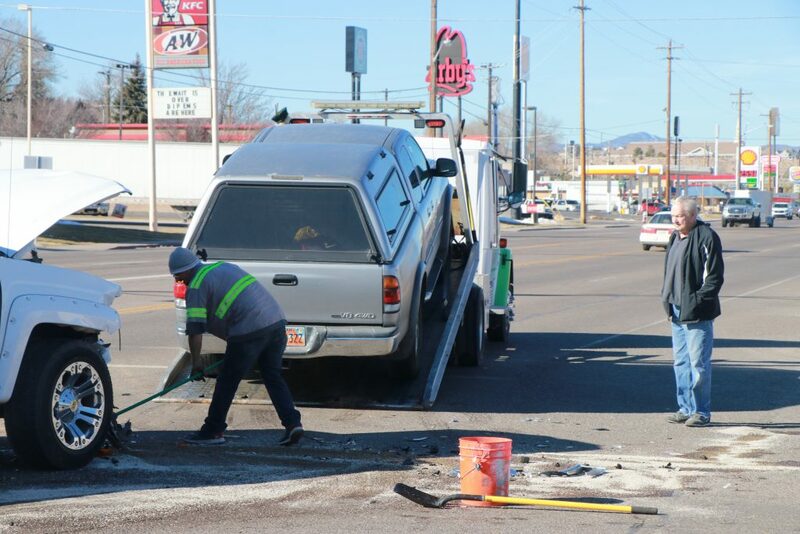 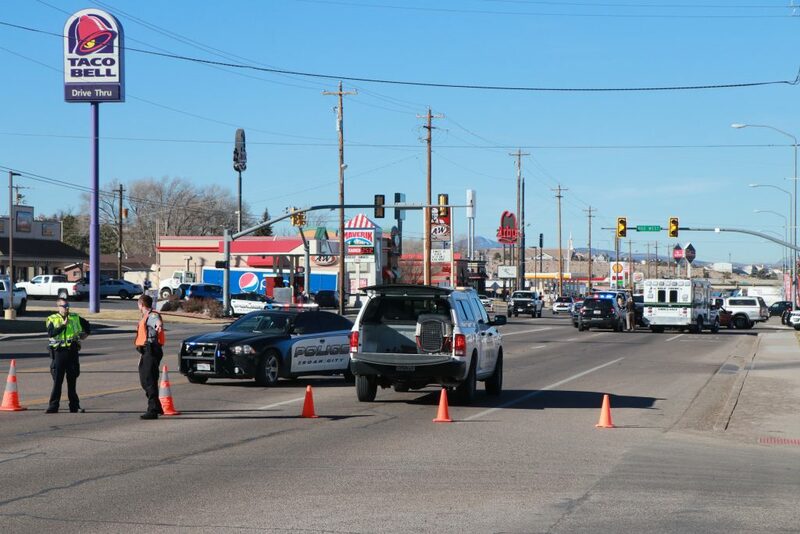 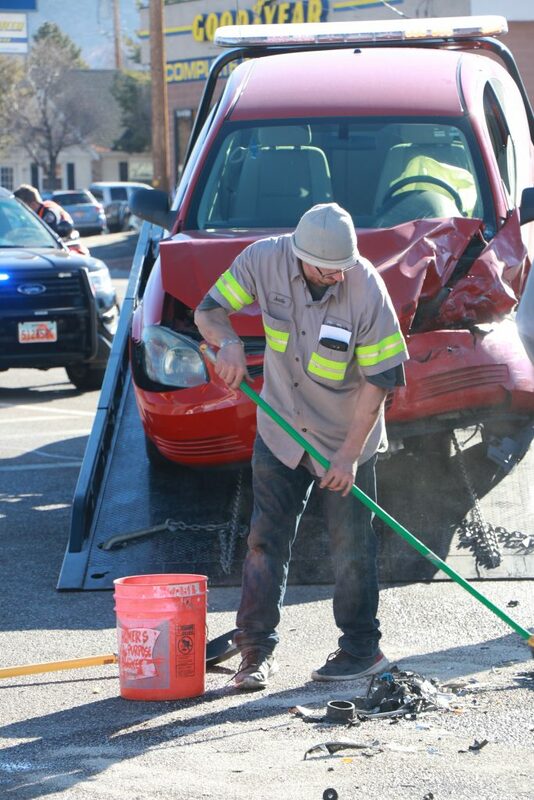 CEDAR CITY — A driver ran a red light at an intersection Friday morning, causing a three-vehicle crash in Cedar City, police said. 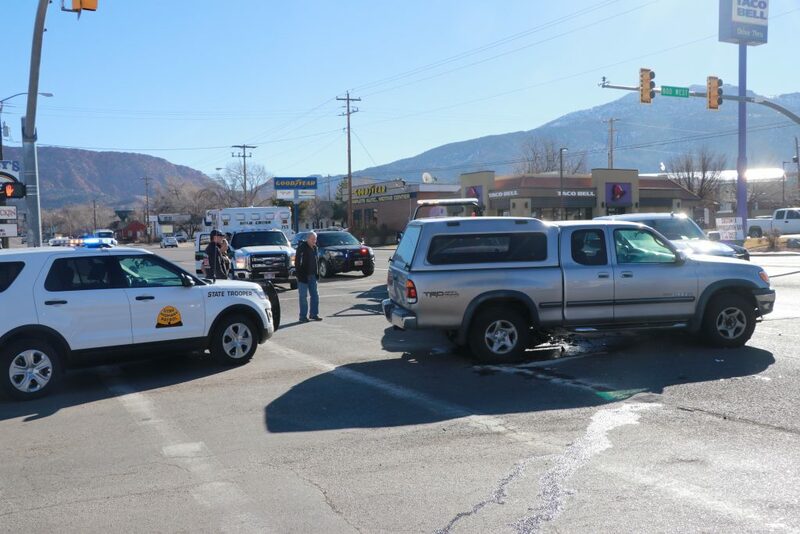 The incident occurred at the intersection of 800 West and 200 North, where responders were dispatched about 10:19 a.m.
Cedar City Police Lt. Jimmy Roden said the driver of a red Chevrolet Cobalt heading west along 200 North entered the intersection on a red light, striking a white Chevrolet Silverado pickup truck that was heading north on 800 West. 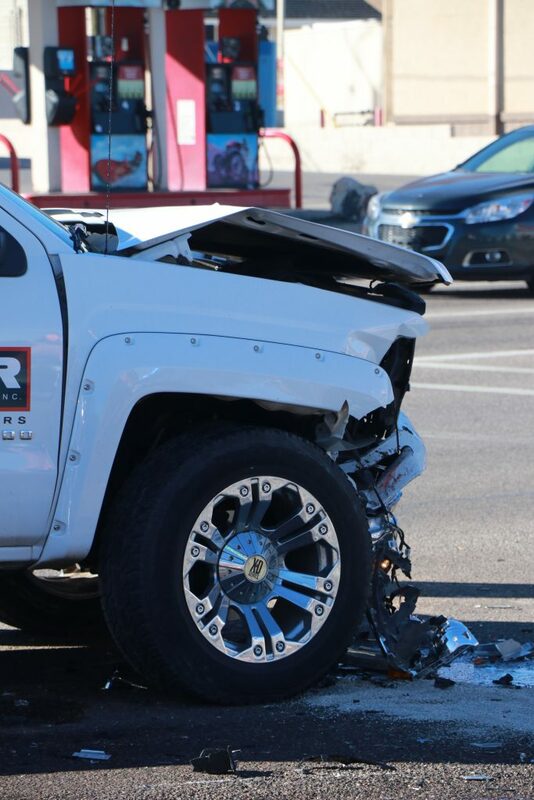 Roden said that after the initial collision, both vehicles then struck a silver Toyota Tundra pickup truck that was traveling south through the intersection. 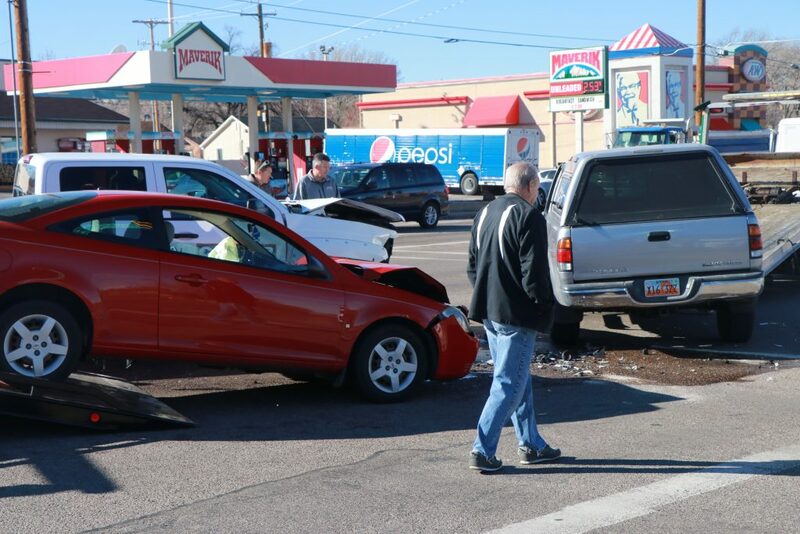 “Both the red car and the white truck, their momentum carried them into the third vehicle,” Roden said. 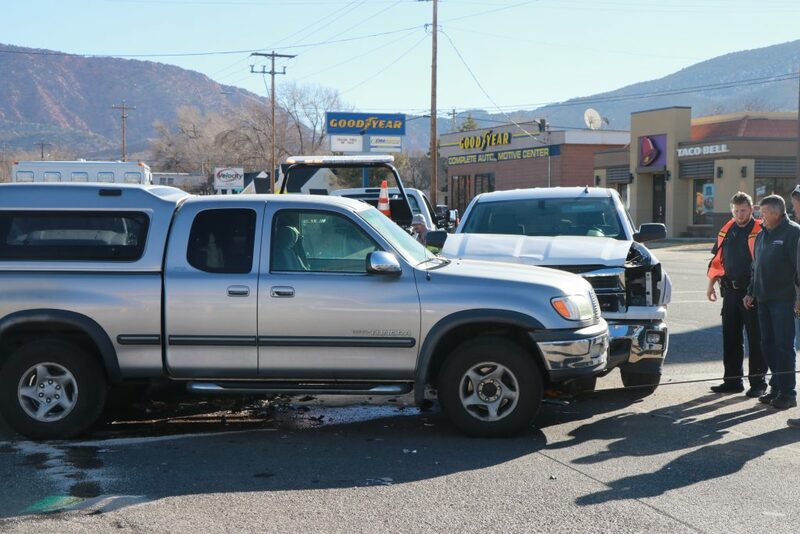 The first two vehicles sustained significant front-end damage, while the Tundra had moderate damage to the driver’s side. 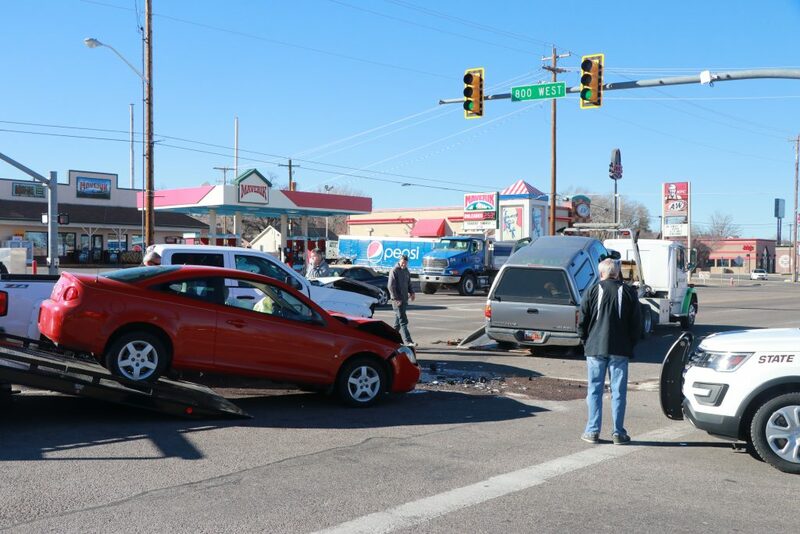 All three vehicles were towed from the scene. 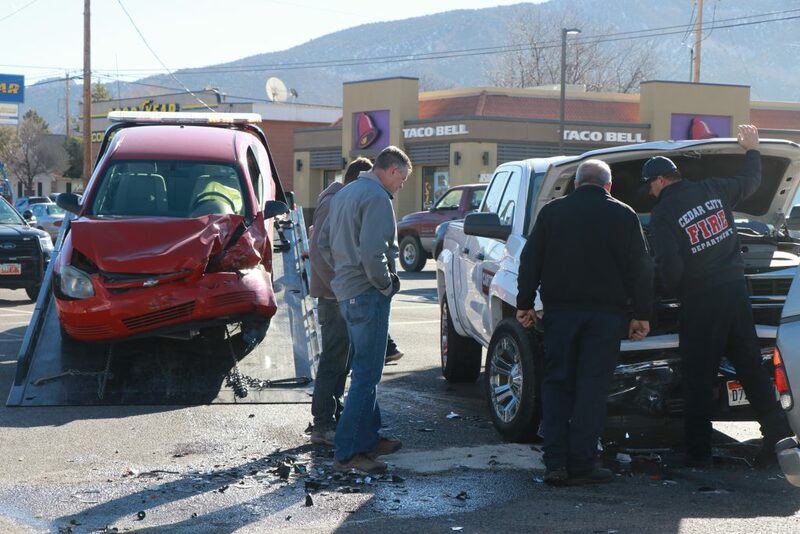 Roden said all three drivers were reportedly wearing their seat belts. 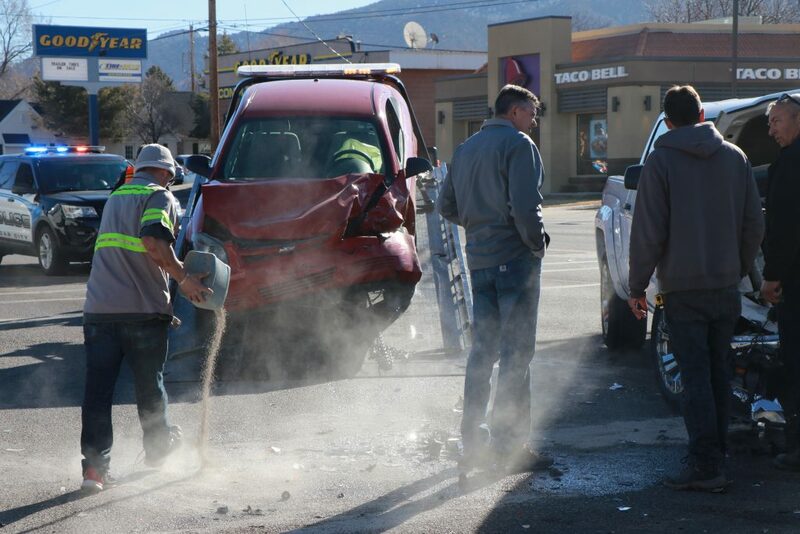 The driver-side air bags in both the Cobalt and the Silverado were deployed in the collision, he said. 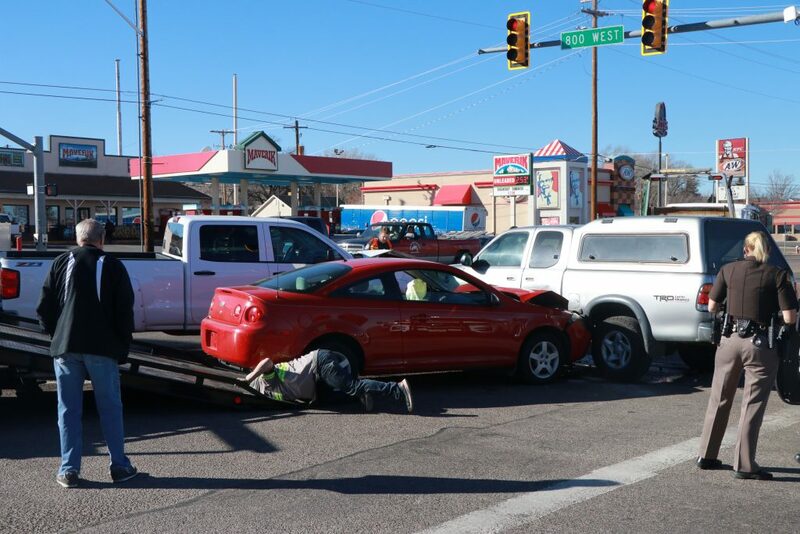 The male driver of the Cobalt was initially treated by Gold Cross Ambulance personnel at the scene, and later transported by ambulance to the hospital for injuries that were believed to be not serious. 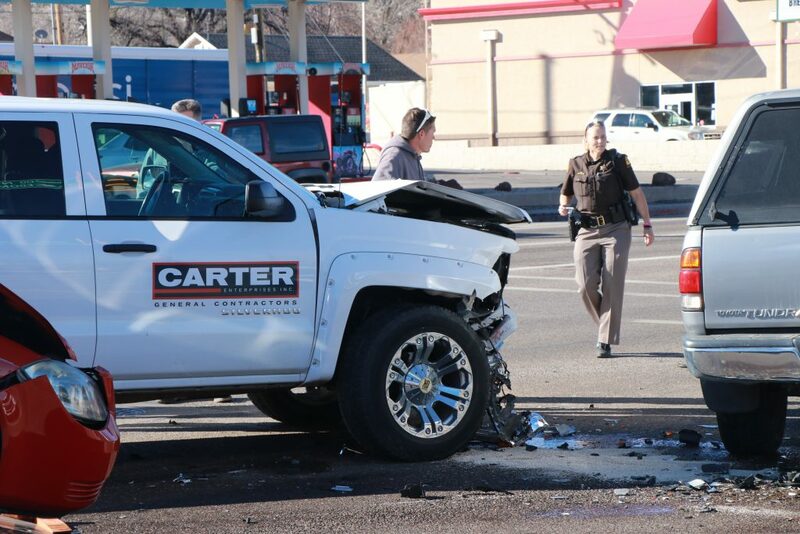 The male driver of the Silverado was taken by private vehicle for a medical evaluation. 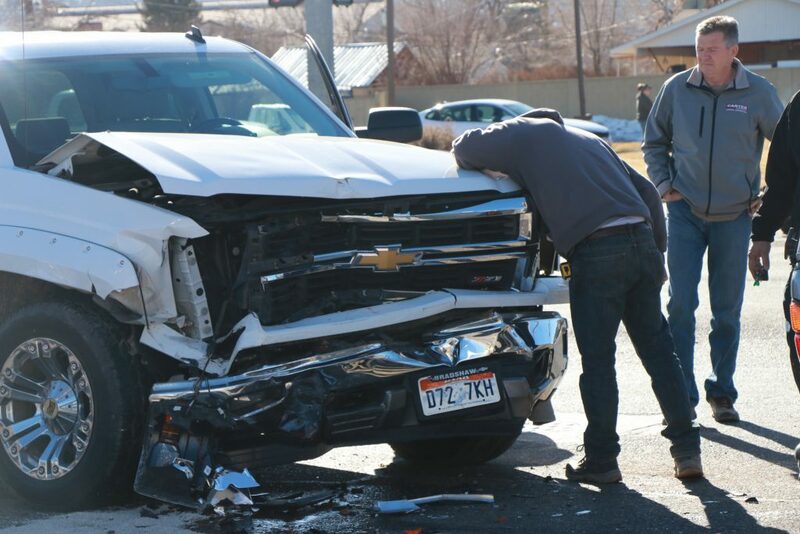 The male driver of the Tundra was reportedly uninjured. 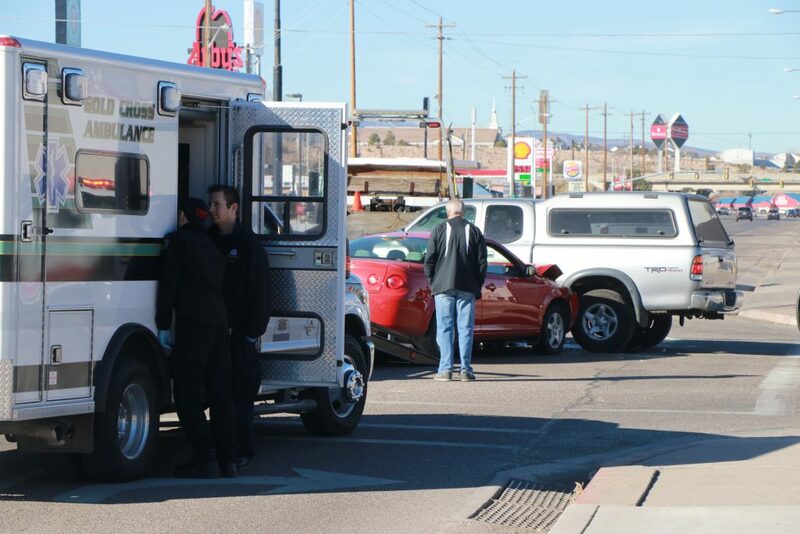 Roden said as of 2 p.m. Friday, no citations had been issued in connection with the incident. 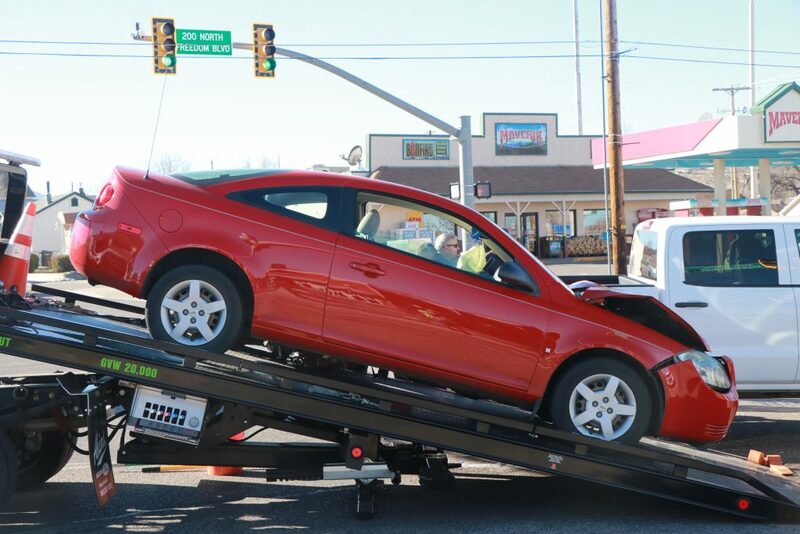 Even in Cedar City idiot drivers think a red light means to floor it apparently. 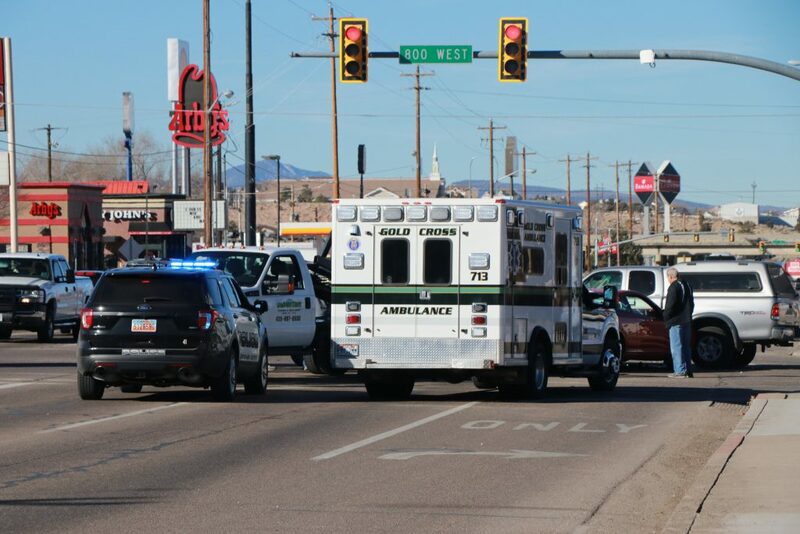 just like any other city pffft !